Welcome to the IRC-Center and thank you for your interest in the Intercultural Readiness Check. You can access the IRC Area of your choice by clicking one of the panels to the right. Please note that login ID and password are required for both the Respondent and the Licensee Areas. General information about the Intercultural Readiness Check can be found in the IRC Visitor Area, which is open to all. I have been issued an IRC Client ID and password and would now like to fill in the IRC questionnaire. 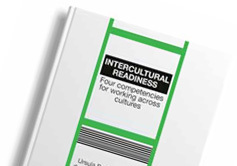 I would like to read more about the Intercultural Readiness Check and the IRC Licensing Program. I am an IRC Licensee and want to access my IRC Control Panel and Download facilities. © 2019 Intercultural Business Improvement.